The pianist interprets Phish and the Grateful Dead. Holly Bowling, who will play an early show at SOhO Restaurant & Music Club (1221 State St.) on Sunday, January 29, is a young musician with classical training and jazz chops who fell in love with the music of the band Phish when she was growing up. Having been too young for their heyday in the early 1990s, she embraced the opportunity presented by the Phish reunion in 2009 with the fervor of a true believer. More than 300 shows later, Bowling knew the band’s music inside and out and proceeded to do something about it. 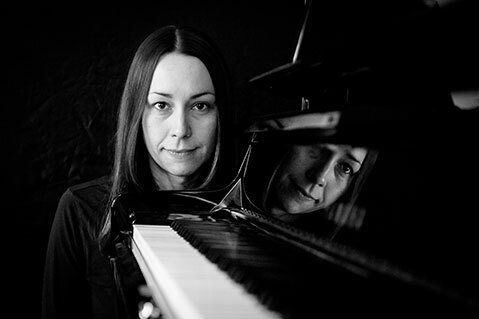 Armed with her knowledge of the sonic techniques of the classical symphonic reduction and a growing talent for jazz improvisation, she began creating transcriptions of her favorite Phish songs. In 2015, she released Distillation of a Dream: The Music of Phish Reimagined for Solo Piano on the Royal Potato Family label. Critical praise for these sophisticated, highly listenable tracks followed, as did a devoted audience for her live shows. Moving on from Phish to another of her favorites, the Grateful Dead, seemed like a natural progression, and in December 2016 Bowling released Better Left Unsung, a collection that includes both some relatively short numbers — “Franklin’s Tower” clocks in at just under four minutes — and some truly Dead-like extended tracks, such as the full “Terrapin Station (Suite)” (16:36) and an otherworldly, unforgettable “Dark Star” at a whopping 27:36. When I spoke with Bowling recently, she was en route between gigs in Seattle and Portland, and she patiently explained that, like her inspirations, she approaches making music through a mix of things. “There are three aspects to what I’m doing,” Bowling said. “There are the jam transcriptions, which I write out myself and then play note for note, and then there are the songs that are unscored, where I improvise the whole thing, like on ‘Dark Star.’ Finally, there are those that sit somewhere in between, like ‘Cassidy,’ where I start out playing the notated structure and then move into improvisation.” Fans of Phish and the Dead can expect to take “some kind of journey” Sunday at 6 p.m., according to Bowling, who declares that, as with those bands, “every night is different.” For more information, call 962-7776 or see sohosb.com.